A traditional ruler in Ogun State, Olufemi Ogunleye, has obtained a degree in Law at the age of 73. 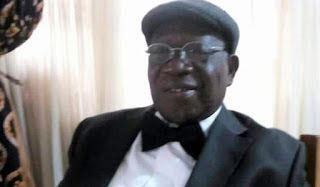 Mr. Ogunleye, who is the Toluwade of Akinale in Owu Kingdom of Egbaland, graduated with a Second Class Upper degree from Crescent University, Abeokuta, an institution founded by Bola Ajibola, a former Nigerian Attorney-General and ex-judge at the International Court of the Justice. The traditional ruler was a veteran journalist before mounting the throne, having served with the Daily Times for over a decade and as Group Public Relations Manager of the defunct Nigeria Airways. Speaking with Premium Times, Mr. Ogunleye disclosed that it took him five years to bag the degree. “It was a five-year programme. We are the pioneer Law students of Bola Ajibola College of Law of the Crescent University, Abeokuta, which was established in 2005,” he said. Mr. Ogunleye further disclosed that the university graduated 39 Law students in his set, one with First Class, 16 with Second Class Upper, 14 with Second Class Lower and three with Third Class. . He said his love for education saw him through the challenges of the programme.